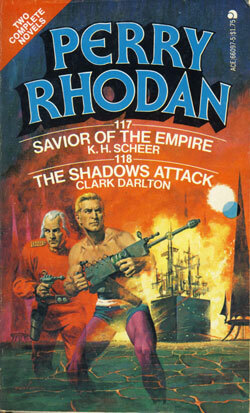 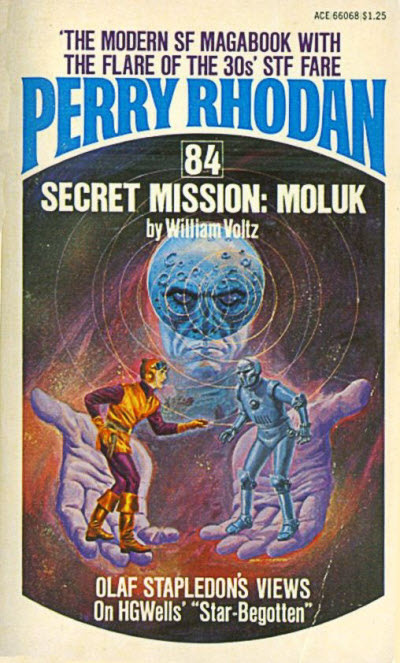 7 · Secret Mission: Moluk [Perry Rhodan] · William Voltz · n.
7 · Enemy in the Dark [Perry Rhodan] · Kurt Mahr · n.
7 · Blazing Sun [Perry Rhodan] · Clark Darlton · n.
7 · The Starless Realm [Perry Rhodan] · Clark Darlton · n.
22 · The Mystery of the Anti [Perry Rhodan] · K.-H. Scheer · n.
7 · Powers Price [Perry Rhodan] · Kurt Brand · n.
7 · Unleashed Powers [Perry Rhodan] · Kurt Brand · n.
7 · Friend to Mankind [Perry Rhodan] · William Voltz · n.
7 · The Target Star [Perry Rhodan] · K.-H. Scheer · n.
7 · Vagabond of Space [Perry Rhodan] · Clark Darlton · n.
11 · Action: Division 3 [Perry Rhodan] · Kurt Mahr · n.
13 · The Plasma Monster [Perry Rhodan] · Kurt Mahr · n.
9 · Horn: Green [Perry Rhodan] · William Voltz · n.
13 · Phantom Fleet [Perry Rhodan] · Clark Darlton · n.
7 · The Idol from Passa [Perry Rhodan] · Kurt Mahr · n.
15 · The Blue System [Perry Rhodan] · K.-H. Scheer · n.
11 · Desert of Deaths Domain [Perry Rhodan] · Kurt Mahr · n.
139 · Triplanetary Agent [Part 1 of 6; Lensmen] · William B. Ellern · n.
7 · Blockade: Lepso [Perry Rhodan] · Kurt Brand · n.
138 · Triplanetary Agent [Part 2 of 6; Lensmen] · William B. Ellern · n.
162 · The Final Men [Time Machine] · H. G. Wells · ex The New Review May 1895; extract from the fifth part of The Time Machine that was omitted from the book versions. 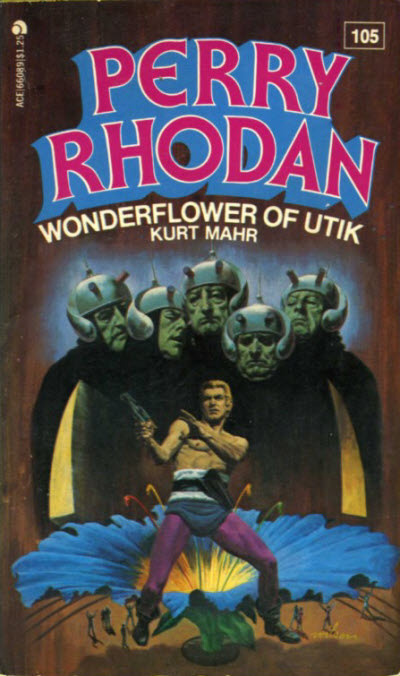 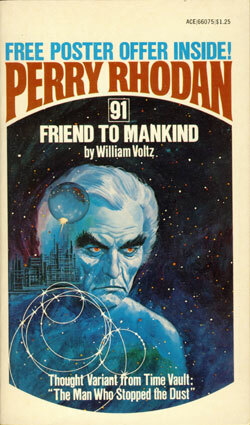 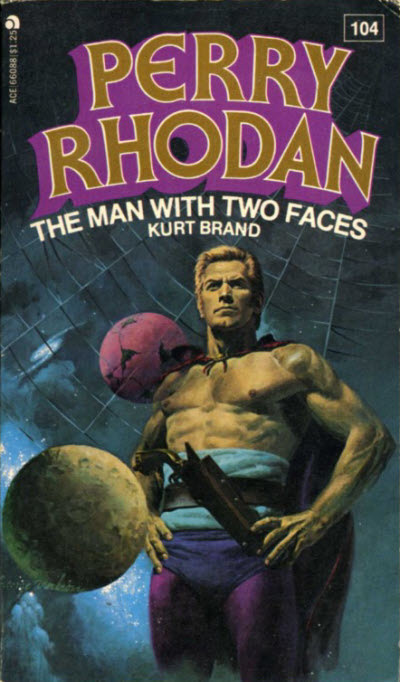 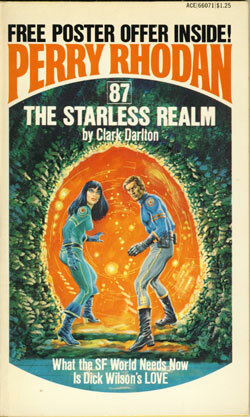 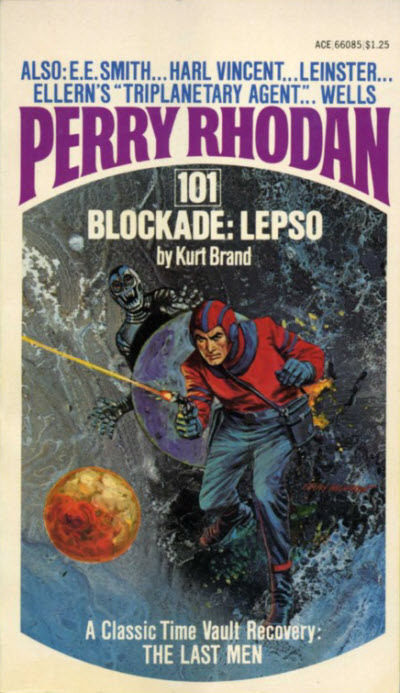 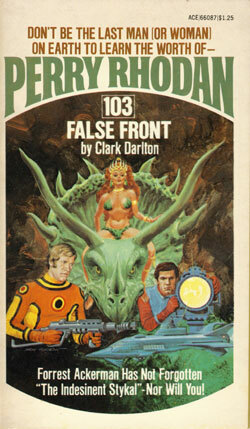 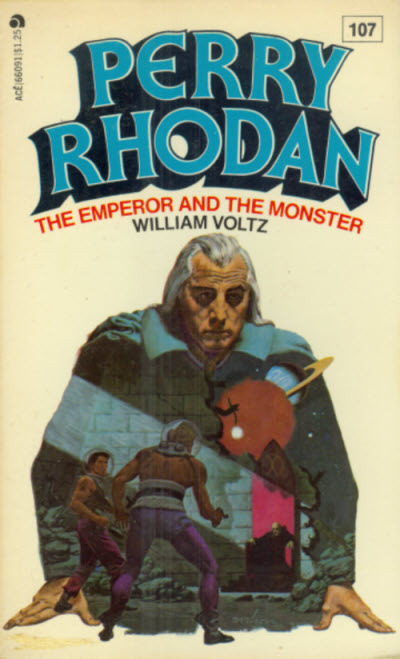 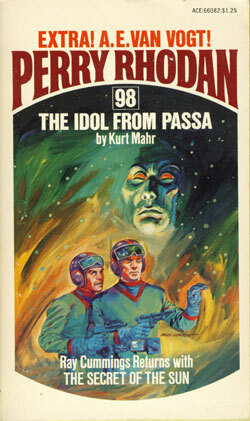 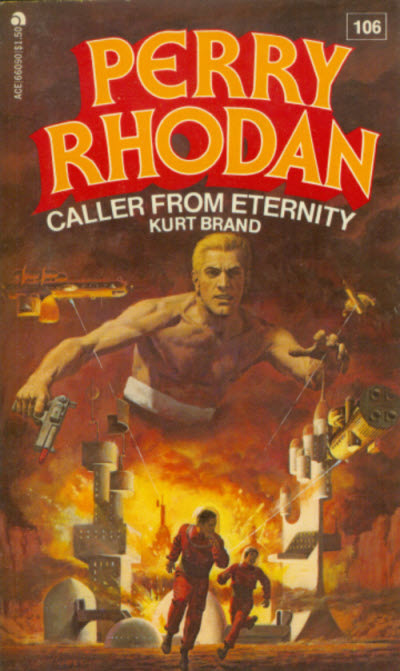 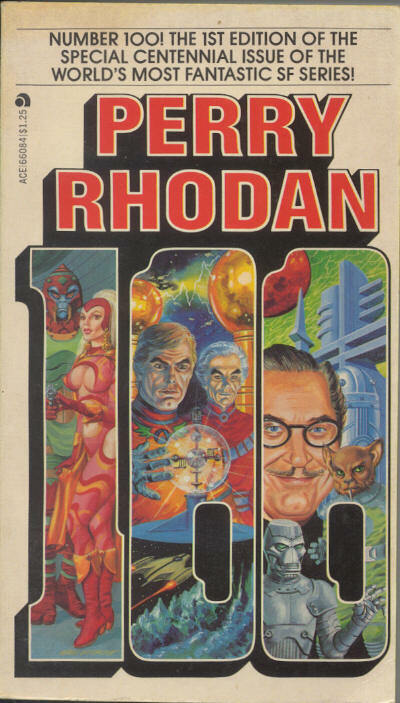 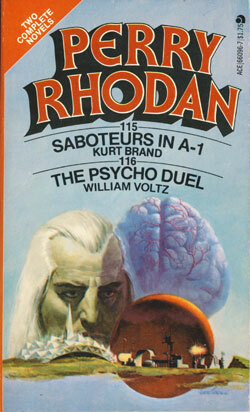 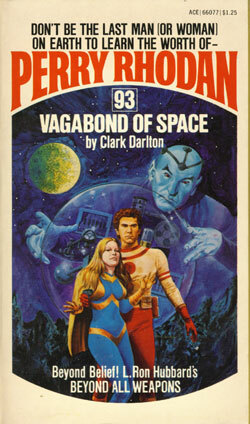 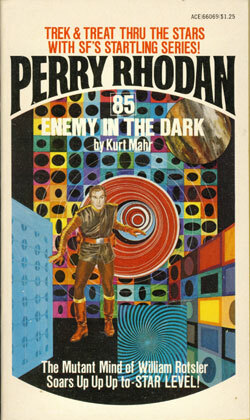 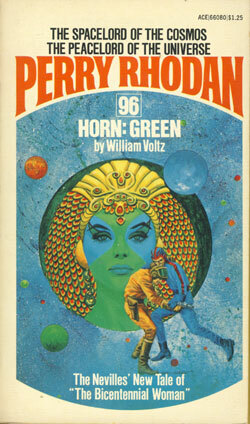 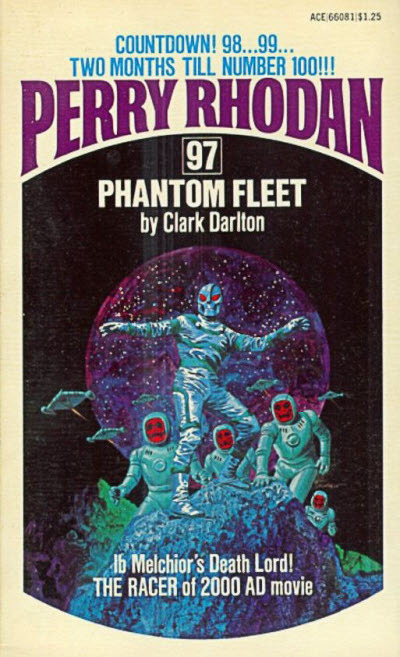 10 · Spoor of the Antis [Perry Rhodan] · William Voltz · n.
134 · Triplanetary Agent [Part 3 of 6; Lensmen] · William B. Ellern · n.
7 · False Front [Perry Rhodan] · Clark Darlton · n.
129 · Triplanetary Agent [Part 4 of 6; Lensmen] · William B. Ellern · n.
13 · The Man with Two Faces [Perry Rhodan] · Kurt Brand · n.
144 · Triplanetary Agent [Part 5 of 6; Lensmen] · William B. Ellern · n.
15 · Wonderflower of Utik [Perry Rhodan] · Kurt Mahr · n.
161 · Triplanetary Agent [Part 6 of 6; Lensmen] · William B. Ellern · n.
7 · Caller from Eternity [Perry Rhodan] · Kurt Brand · n.
7 · The Emperor and the Monster [Perry Rhodan] · William Voltz · n.
7 · Duel Under the Double Sun [Perry Rhodan] · K.-H. Scheer · n.
13 · The Stolen Spacefleet [Perry Rhodan] · Clark Darlton · n.
130 · Sgt. 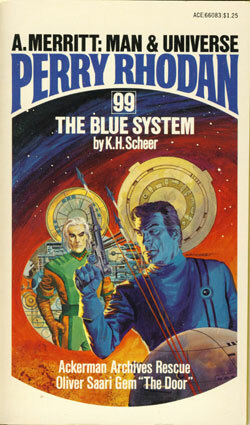 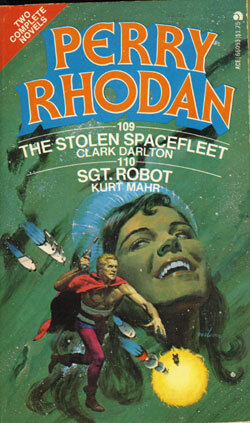 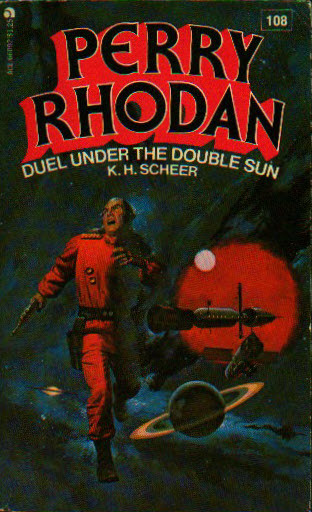 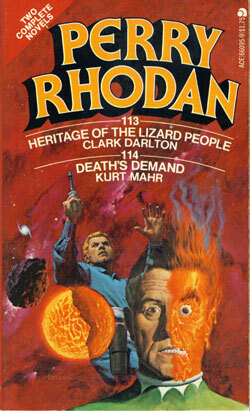 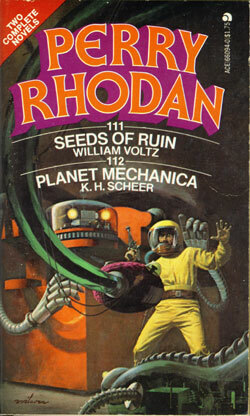 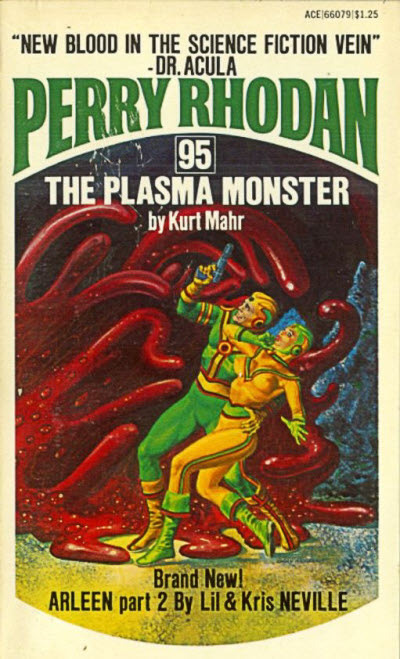 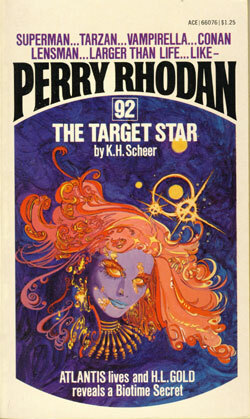 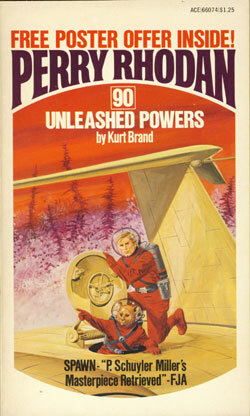 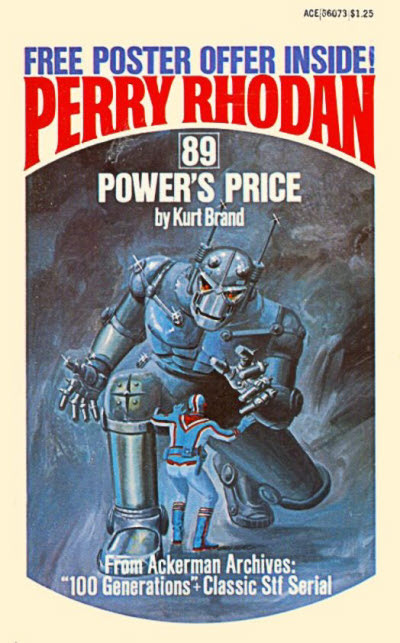 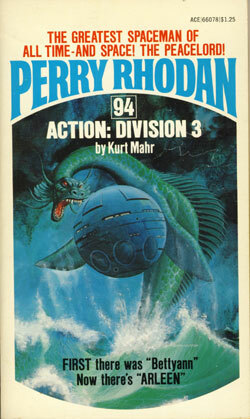 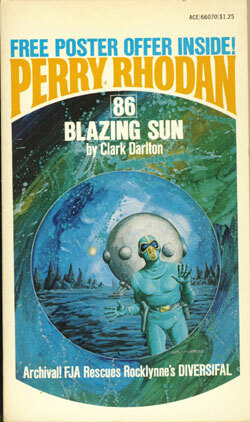 Robot [Perry Rhodan] · Kurt Mahr · n.
15 · Seeds of Ruin [Perry Rhodan] · William Voltz · n.
127 · Planet Mechanica [Perry Rhodan] · K.-H. Scheer · n.
7 · Heritage of the Lizard People [Perry Rhodan] · Clark Darlton · n.
123 · Deaths Demand [Perry Rhodan] · Kurt Mahr · n.
7 · Saboteurs in A-1 [Perry Rhodan] · Kurt Brand · n.
121 · The Psycho Duel [Perry Rhodan] · William Voltz · n.
9 · Savior of the Empire [Perry Rhodan] · K.-H. Scheer · n.
135 · The Shadows Attack [Perry Rhodan] · Clark Darlton · n.
Title changed from Perry Rhodan. 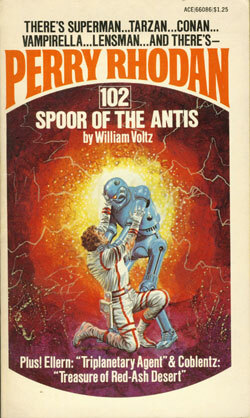 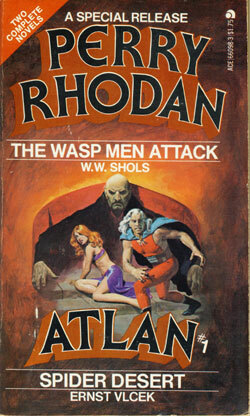 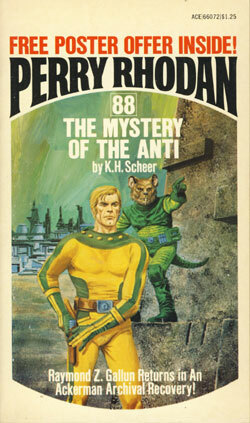 7 · The Wasp Men Attack [Perry Rhodan] · W. W. Shols · n.
129 · Spider Desert [Atlan] · Ernst Vlcek · n.